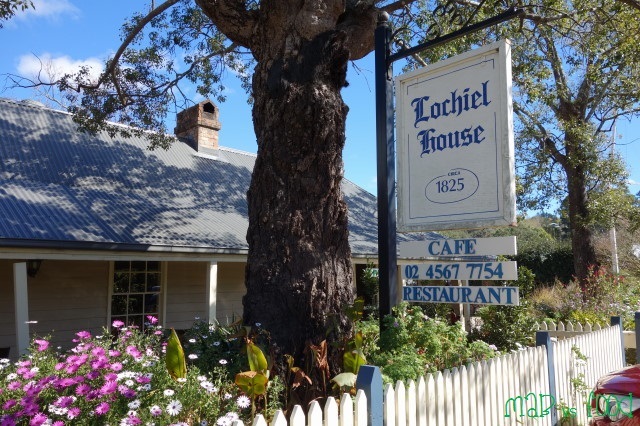 My wife and I decided to take a day trip out of Sydney and headed out to the Blue Mountains for lunch at Lochiel House (1259 Bells Line of Rd, Kurrajong Heights NSW 2758). 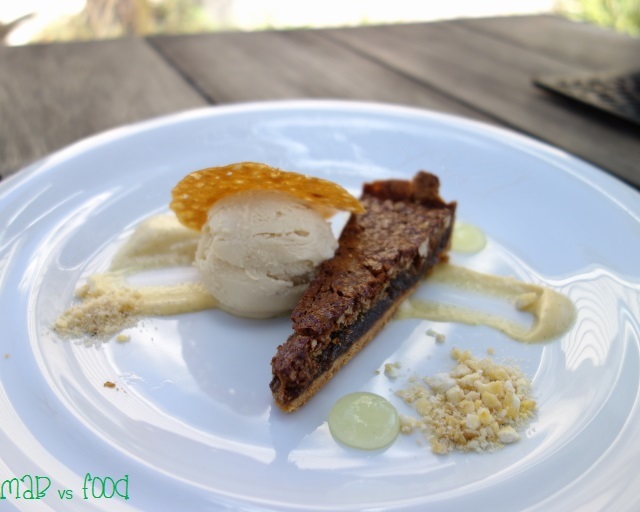 We came armed with a Travel Zoo voucher, which gave us a choice of $100 value from the a la carte menu for just $49. 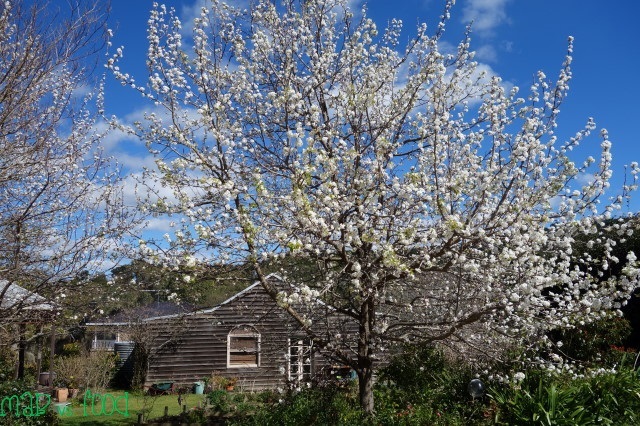 Lochiel House is located in Kurrajong Heights, which is slightly off the main tourist track around Katoomba. So it is a nice quiet, scenic drive to the restaurant that only takes around an hour from our place. The current owners of Lochiel House are Wayne Jenkins and Jessica Quagliata, who took over the restaurant just over a year ago. You may have heard that the previous incarnation of Lochiel House was a fine dining culinary destination that was awarded 2-chef hats by the SMH Good Food Guide. Lochiel House is now offering a more casual, bistro type menu. This does not bother us one bit, as we have been on the lookout for places that are more laidback and cook high quality food without breaking the bank. The weather was just beautiful today and practically perfect, so we immediately took up the offer to be seated at one of the tables outside overlooking the kitchen’s garden. The air is so fresh out in the Mountains (a welcome change from the Big Smoke of Sydney) and we absolutely loved this relaxing outdoor setting. As it was winter approaching spring, there was not a lot growing in the garden beds at this time. 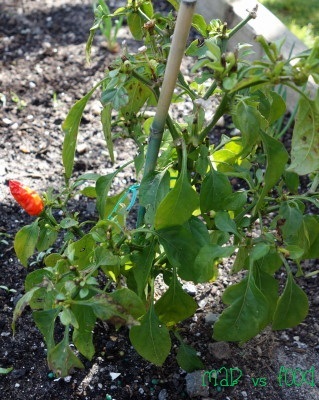 Our waitress explained to us that they grow a lot of their own herbs and vegetables. 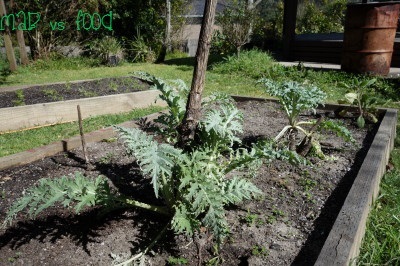 A tomato tree has been planted in anticipation of using the tomatoes to serve gazpacho on their summer menu. That sounds delicious! 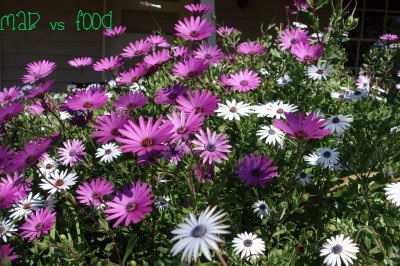 After we placed our order, we wandered around the garden as we waited for our meals to be prepared. My wife’s entrée was a butternut soup and this was an enjoyable and comforting soup for winter, although it was a lovely day in the Mountains. The combination of pepper and the garlic croutons were a welcome addition and gave the flavour of the soup some extra kick to complement the sweet, creamy butternut pumpkin flavours. I ordered the confit salmon and was I happy that I decided on this entrée! I was blown away by this dish and it was easily my favourite course of the day. It was on a whole different level compared to the other dishes and if I was served this dish at a fine dining restaurant, I would be a happy customer. First of all, I loved the presentation of this dish. Everything has been assembled onto the plate so beautifully. The salmon was cooked to perfection with a lovely moist, pink centre. The flesh just melts in the mouth. And then there all sorts of condiments to enjoy the salmon with, almost too many to choose from. However you choose to combine them, it all tastes wonderful. In terms of sauces there were squid ink and anchovy mayonnaise, apple gel, and pea puree. The dish also came with a quail egg, which had a nice and gooey yolk and salmon roe, which provided pleasant bursts of flavour. So overall, a dish that I was most impressed with and would definitely order again. My wife’s gnocchi was a good classic gnocchi dish, nothing special. 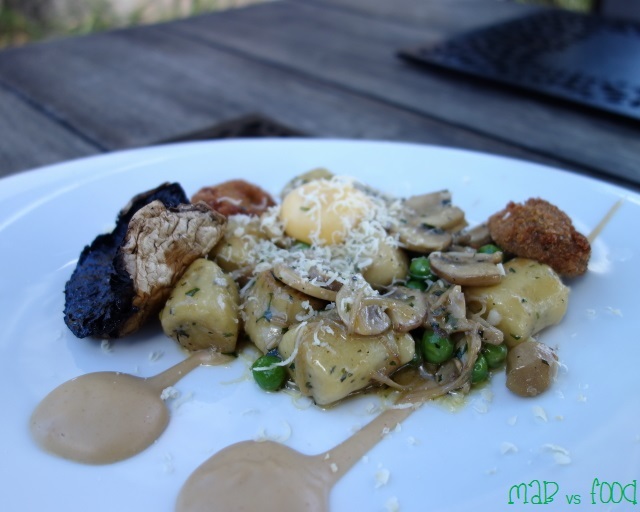 The gnocchi were soft, fluffy pillows of potato however they did get quite rich and creamy after a while. This dish contains three of my wife’s food loves: potatoes, mushrooms and warm, gooey egg yolk, so there were definitely no complaints from her with this dish. I decided to go the whole hog and ordered the nose to tail pork belly, Lochiel House’s signature dish. This dish is a pig lover’s dream. What I enjoyed about this dish is that there were so many different things to try – essentially it was a pork tasting plate! 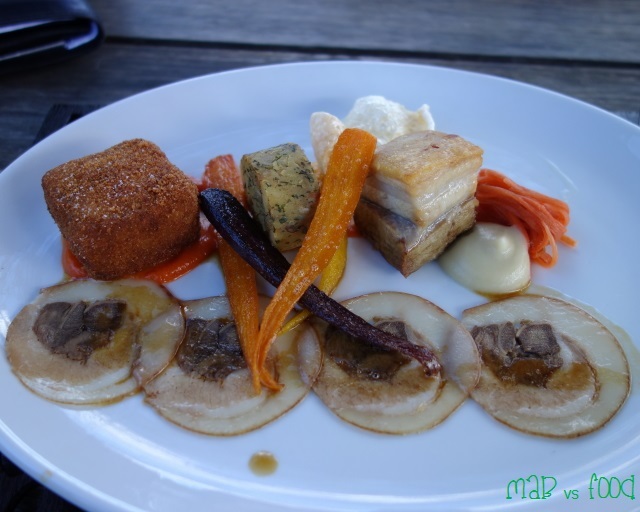 The pig elements were, moving clockwise from the top-left there were trotter croquette, pork tail and potato hash, chicharron (pork cracker), pork belly, and thinly sliced ballotine of pig’s head (or tete de cochon). These were all enjoyable but my favourite element was the trotter croquette, which had a crunchy golden crust and some delicious, gelatinous pig’s trotters that come oozing out as you cut the croquette in half. However, I do think the crackling of the pork belly could be crispier and is a bit blonde-looking. The meat of the pork belly could also have been more moist and tender. 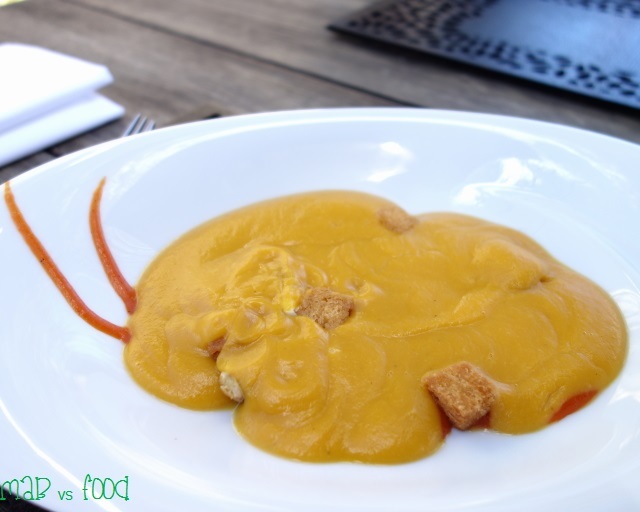 Of course pig is best enjoyed with apple and in this dish it comes as an apple puree. If there weren’t already enough different ways of doing pork in this dish, the carrots here are done 4 ways: carrot puree, roasted baby carrots (incl. purple carrot) and pickled carrots. The pickled carrots were certainly welcome in this dish as it does cut through the richness of the dish a bit. I couldn’t count 4 ways as stated in the menu unless you count the roasted purple carrot as one of the 4 ways, as separate from the other carrots. We also decided to order some kipfler potato chips on the side. These were great! These were fried with the skins, which provided great flavour. The chips were very crunchy and on the inside there was steaming-hot fluffy potato. This was a deconstructed lemon cheesecake, with quenelles of lemon curd, cheesecake filling and a scoop of kaffir lime ice cream. 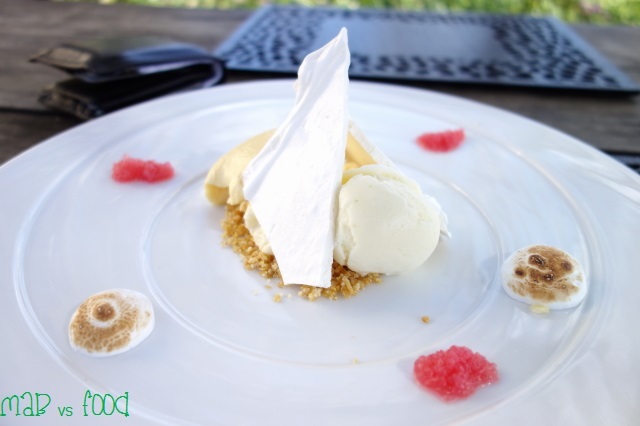 The lemon curd and cheesecake elements were enjoyable however my favourite elements of this dish were the refreshing lime ice cream and the tangy pearls of finger limes to cut through the richness of the lemon curd and the cheesecake. Through no fault of the restaurant, we just aren’t fans of meringue. To me there just isn’t much to them and nothing more than just sugar and egg whites. We left Lochiel House satisfied with the meal we just had and continued our scenic drive along the Bells Line of Road. 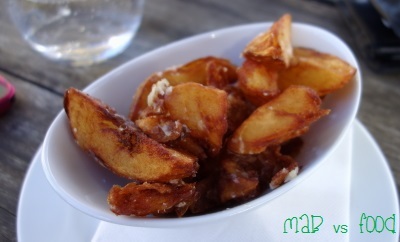 To see what we got up to on our daytrip to the mountains, scroll down to the next post or click on the following link: http://foodmab.blogspot.com.au/2013/08/day-out-at-blue-mountains-24-august-2013.html . 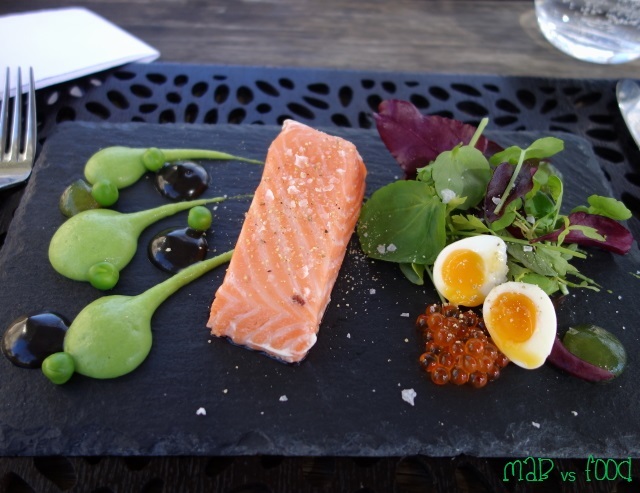 Highlight: The confit salmon was a stellar dish that I would be more than happy to have again! Lowlight: Lochiel House is quite a drive from my place, so I don’t think I can visit this wonderful destination too often.